As autumn is beginning to show its head, you can look forward to Acorn Squash Day. Although the holiday’s exact origins remain unknown, it is a joyous occasion for any lover of good food. Also known as pepper squash, acorn squash is a delicious ingredient for your meals. 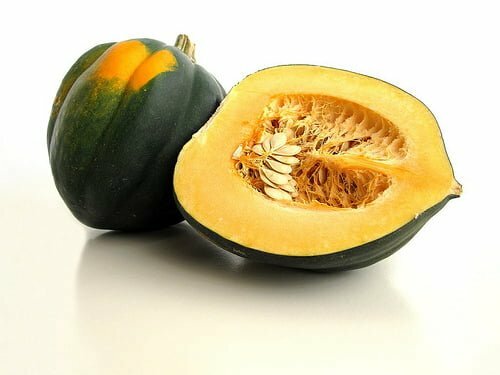 Despite its classification as a winter squash, it belongs in the same category as summer varieties (yellow crookneck and zucchini­­­). Although individual acorn squashes can have some variation, one trait remains constant: the acorn-like shape that gave it its name. It is has a dark-green color, with lighter, orange spots. Its durability is quite impressive, given that it can last for many months if it is deposited in a darkened, cool room. Acorn squash is a vegetable species that originates on the North American continent. It is unknown when its consumption began. Native Americans were already growing tasty squashes when European colonizers arrived. Pleasing as it may be, Natives were not growing acorn squash for it taste. It is a convenient and resilient crop, offering a more reliable source of nourishment. Their qualities, coupled with the fact that they keep very well, makes these vegetables some of the best foods on the planet. Of course, the ultimate goal of National Acorn Squash day is to encourage and promote the consumption of acorn squashes. You can prepare them in many ways, and even the seeds can be toasted, dried, and savored. On September 7th, people from across the nation will microwave, bake, steam and sauté their acorn squashes, resulting in some delicious meals. In addition to its taste, this squash has plenty of potassium, fiber content, vitamin B and C, manganese and magnesium. There are many recipes, each catering to people with specific tastes. Countless local, organic growers and companies like Stapleton-Spence Packing and Ladybug, will work tirelessly in order to provide these vegetables in good quality. For people that are trying to avoid weigh gain, acorn squashes are valuable. Unlike many other vegetables, they are quite filling and nourishing. As a side dish, acorn squash can be roasted and topped with some butter, and even a few drops of maple syrup for extra sweetness. Due to their rather voluminous nature, they can be hollowed and stuffed with meat, rice, or mixtures of other vegetables and fruit. Acorn squash rings are often served smothered in a mixture of bread and honey, resulting in some delicious treats for the entire family. Other notable recipes include Acorn squash combined with spinach ravioli, acorn squash and roasted garlic strudel, and sugar glazed squash. As a basis for many interesting recipes, acorn squashes are indispensable. This squash is possibly one of the first vegetables that were consumed and farmed in North America. Resilient and nutritious, it reflects the sturdy, survivalist attitude of the people who grew it. Its taste is powerful, yet it is not overpowering, allowing you to use it in various recipes, without ruining flavor. To celebrate amazing vegetable which lends itself to so many dishes, gather your ingredients for your next stew, soup or strudel and get cooking.